Shanti Bhavan, a boarding school in Tamil Nadu in southern India, has provided free education to the poor for 20 years, in exchange for a sense of duty and service to the community once graduates are out in the real world. She aspired to be a journalist, but her life took an unexpected turn when her 14-year-old sister, Kavya, who had run away from home, died by suicide. Raj felt intense guilt for not helping her sister and having more advantages than she had had, and decided to pursue a career in counseling others. Shanti Bhavan focuses on children from disadvantaged homes, with family struggles like alcoholism, debt and poverty, said Ajit George, director of operations. His father, Abraham George, founded the school in 1997 and serves as its principal. The in-house education covers preschool through high school, and the organization continues to help pay for the students’ college education. Along with demanding academics, the students get life skills training. The girls learn about menstrual cycles, the boys are taught about gender equality, and all practice job interviews. About 600 volunteers from around the world assist the teachers in their area of professional expertise, help run extracurricular activities and act as mentors. The school is funded by corporations, nongovernmental organizations and private donors. Construction of a second school is planned also in southern India, a few hours’ drive from the original site, to save costs and share resources, said George. Another graduate, Prasanth Kumar Reddy, 22, was raised by a single mother after his alcoholic father left the family. Reddy had a love of science in school, but became intrigued by the stock market and now works for Goldman Sachs in Bangalore. “When I go back home, it reminds me of my past and the difficulties that my mother faced after my father left us,” he said. The monthly visits and daily calls with his mother are a motivation to help improve her life and others’, while he’s living in relative comfort in the city. Reddy said he’s excited about the prospect of Shanti Bhavan opening a second school to foster those positive changes in society. Many of the students, like Reddy and Raj, realize they have a unique opportunity at Shanti Bhavan and it’s up to them where they go from there, said George. “It’s given them a strong sense of responsibility” to help other members in their family who didn’t get the same chance. They help their siblings find jobs, and use their salaries to repay their families’ debts and get better housing, he said. 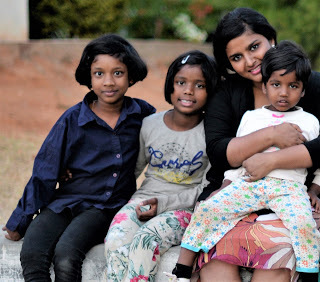 Shilpa Raj, now 24, counsels families of children with autism and other developmental disorders in her home state of Karnataka in southwestern India. 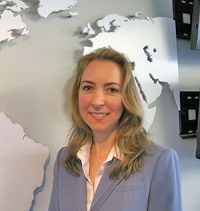 She recently completed a master’s degree in psychology and plans to pursue her doctorate. She wants to start a program that caters particularly to the needs of troubled girls. The documentary series “Daughters of Destiny” features five students in the rural school.